Two versions of a cheerful Maths poster that shows number bonds to ten and an accompanying worksheet. Ideal to use in the classroom when investigating and learning number bonds to ten. This resource includes two different versions of the poster and an accompanying worksheet. Select the font required for your class. Print one full set of all four pages. Laminate the 2 page landscape poster and display in the classroom. 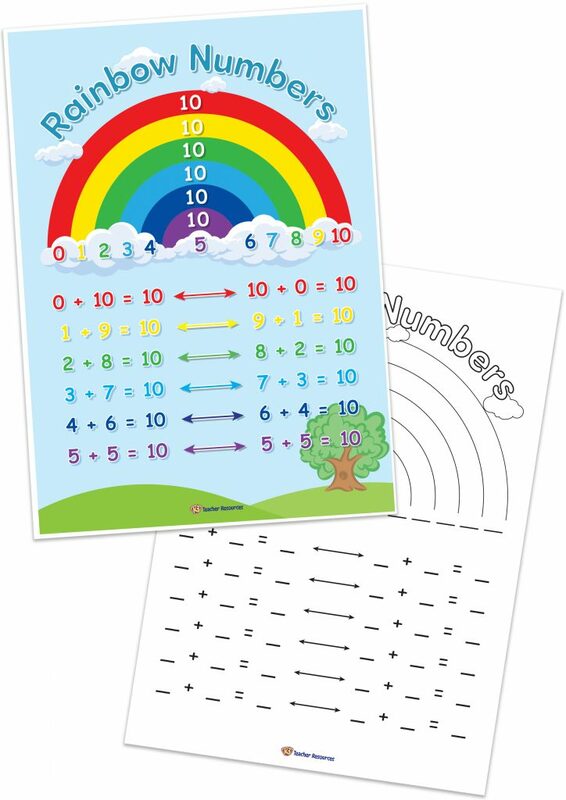 Copy and laminate multiple copies of the 1 page poster and place in a basket for students to use during Numeracy lessons. Copy a class set of the worksheet for your class. Use these resources in conjunction with each other.